The arrest and indictment of Suleiman Kerimov in Nice last week on charges of tax fraud and money laundering have begun loosening the tongues of international bankers and commodity trade financiers who have done business with Kerimov in the past, and who have been guests at his Cap d’Antibes villa parties. They say Kerimov’s wealth is illusory and exaggerated by the press, because his assets are heavily leveraged by bank loans which can be called in by material changes in borrower condition; Kerimov’s arrest may be one of them. Investigations in Nice, Moscow and Switzerland, where Kerimov’s asset holdings are managed, confirm that Kerimov’s chief creditors today are the state banks, Sberbank and VTB, run by German Gref and Andrei Kostin. A smaller line of credit has been extended by a third state lender, Gazprombank. The international bankers say they don’t know whether Russian state bankers are also beneficiaries of the villas at Cap d’Antibes. Kerimov doesn’t answer questions in public, parliament, or the press. His annual income and asset disclosure required from him as a senator for Dagestan in the Federation Council reveals a car and part-shares of two small apartments; of foreign assets or income, none at all. 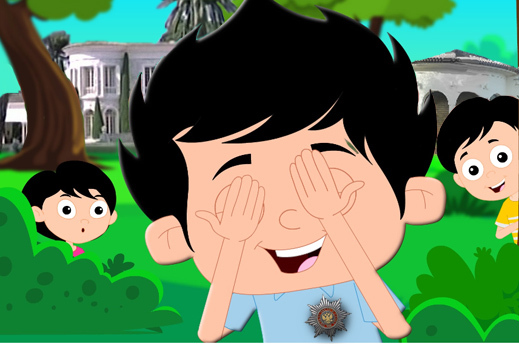 Kerimov claims to have placed his offshore assets and income in a Swiss foundation in order to comply with the Russian law of 2013 which has been explained here. Kerimov claims his principal income-earner and corporate asset, the Polyus goldmining group, is owned and controlled by his son Abusaid (Said) Kerimov, who is a university student aged 22. His wife Firuza used to be a shareholder in his mining assets, as well as a borrowing agent for the group through an entity called FK Capital; click for details. Their daughter Gulnara currently sits on the Polyus board as a director. This put the asset at a further remove from Kerimov senior’s Swiss operations, which were vulnerable to US and European Union sanctions. “In 2013,” writes the US law firm Debevoise and Plimpton in the latest prospectus, “Suleyman Kerimov (who was the then beneficiary of 40.22 per cent of the shares in PGIL [Polyus Gold International Limited] under a trust arrangement), transferred his beneficial ownership of PGIL to the Suleyman Kerimov Foundation (the “Foundation”), a Swiss charitable fund. In 2014, Said [aka Abusaid] Kerimov was named as a second beneficiary under the trust arrangement. 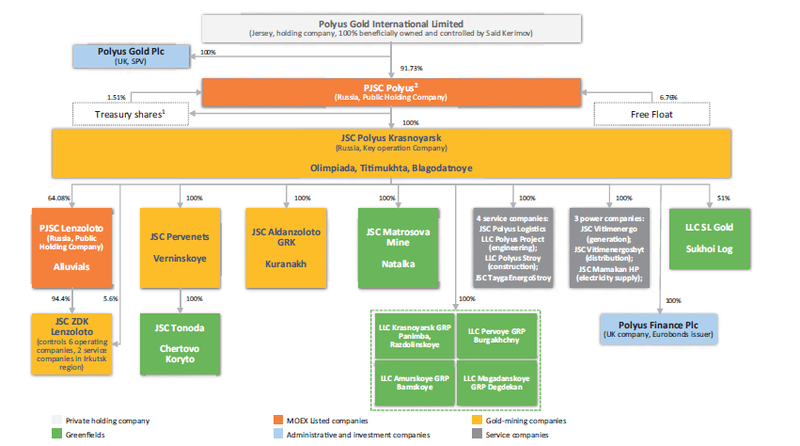 On 28 November 2016, the relevant trust arrangements were amended, such that the Foundation ceased to be a beneficiary and Said Kerimov remained the sole beneficial owner of PGIL.” Currently, 85% of Polyus is under Kerimov family control. 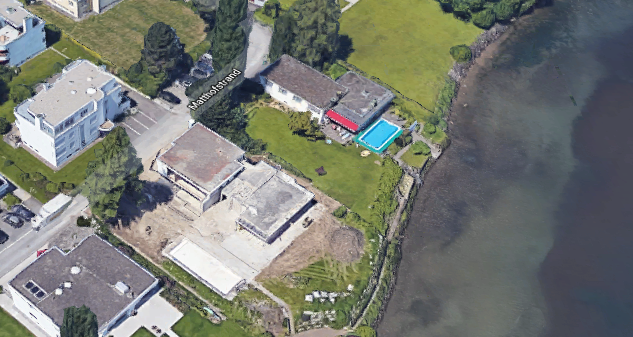 Kerimov senior’s financial operations in Switzerland are now under investigation in France because he is alleged to have employed a Swiss nominee, Alexander Studhalter, to act as the registered purchaser of the Cap d’Antibes villas. Based in Lucerne, Studhalter, his father, mother and brother, have had a long history acting for Kerimov. Read the backfile on them. The French evidence is also to be examined by Swiss and Russian prosecutors. When Credit Suisse employed the daughter, the bank had been the principal financier for the father’s stakes in Lucerne office buildings, as well as his motor-yacht Ice, an aircraft, and other real estate assets. Swiss sources claim there was a falling-out when the bank issued loan repayment calls and Kerimov defaulted. Swiss company records show the daughter’s current employer, MG International AG, is a front company operated since 2009 at Hirschmattstrasse 62, Lucerne, by Philipp Studhalter. MG stands for Millennium Group, one of Suleiman’s Swiss asset holdings. The Studhalter headquarters for these operations is at Matthofstrand 8, Lucerne. Also registered as operating at the same Matthofstrand address is Swiru Holding, another Kerimov asset holding. Next door, at Matthofstrand 6 (pictured below), is the office of the Suleiman Kerimov Foundation. The nine Polyus board members include two Americans and a Canadian, who are reported as independents. Apart from Kerimov’s son and daughter the remaining Russian directors have all been his employees for years. The most recent of the gold acquisitions is Sukhoi Log, the largest unmined gold deposit in Russia. The 20-year fight over control of that asset was won early this year by Polyus in partnership with the state asset holding Rostec, controlled by Sergei Chemezov. That story can be read here. The June prospectus reveals that four North American banks – Goldman Sachs, JP Morgan, Morgan Stanley and Bank of Montreal – cleared their underwriting with the sanctions office of the US Treasury. It also confirms Kerimov senior’s dependence on the three Russian state banks, Sberbank, VTB and Gazprombank (GPB), as financiers and creditors. In addition to this underwriting, the prospectus reveals that Sberbank is the dominant lender for Polyus. VTB is also a major lender, and Gazprombank a minor lender. The state sovereign wealth fund known as Russian Direct Investment Fund has also become a small shareholder. Foreign bank borrowings have been small; those remaining from Société Générale (France), ING (Netherlands), and Unicreditbank (Italy) were paid off a year ago. The Russian state banks are also the dominant buyers of Polyus’s mined gold. Source: Polyus prospectus, page 252; Otkritie and MDM are now under bankruptcy management by the Central Bank, and the Bank of Moscow is part of VTB. Sberbank holds most of Polyus’s cash. As of March 31, Polyus reports its total borrowings amounted to $4.6 billion, 80% of which is denominated in US dollars. Forty percent of the borrowings are from Sberbank. VTB has extended a Rb40 billion credit line, and Gazprombank a credit of Rb6.1 billion. VTB is also the custodian of the newly issued Global Depositary Shares (GDS). With the exception of Gref, none of these individuals has ever been photographed with Kerimov. Another group exposed to the outcome of the French prosecution is the Chinese conglomerate known as Fosun, which is controlled from Shanghai by Guo Guangchang (right). The Polyus prospectus confirms that at the end of May of this year, the Polyus holding company in Jersey agreed to sell Fosun 12.6 million shares of the new Polyus issue (10% of the share capital), making the Chinese company the only significant investor to be counted outside the Kerimov family. 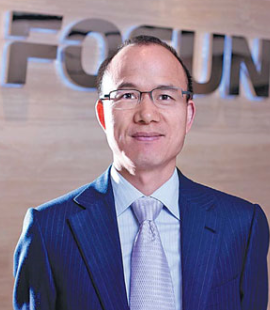 Fosun paid $70.60 per share ($35.30 per GDS). It has also agreed to buy an option for another 5% of Polyus, making 15% altogether, on or before next May. The extra shares are priced at $77.66 ($38.83 per GDS). 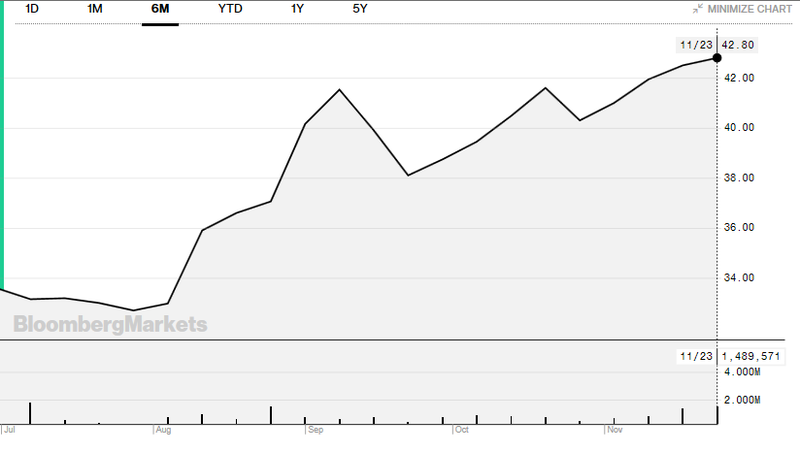 Despite Kerimov’s troubles in France, the GDS price in London has continued to climb, so the Chinese can already count for themselves a sizeable paper gain. One ordinary share equals 2 GDSs. The dollar price shown is for one GDS. The Chinese buy-in price was equivalent to $35.30. At the current GDS price of $42.80, the value has increased by 21%. The market capitalization has climbed from $9 billion to $11 billion. Over the same period, Fosun itself jumped sharply in share value, only to drop by 13% in November. Source: https://www.bloomberg.com/quote/PLZL:LI and https://www.bloomberg.com/quote/656:HK Fosun’s market cap is 64% greater than that of Polyus. At Moscow headquarters Polyus was asked this week to say if the Chinese have gone through with their deal. The company refuses to reply.